The Online Academy features the first section (Section A) of Read Ahead levels 1 to 3. This material is best used in conjunction with the free companion Read Ahead phone app, which provides supplementary exercises, quizzes, and metronome settings. For further material, the complete levels (Sections B & C) are available from Amazon as a printed book, the Apple App Store as an iPad app and as PDF eBooks at the Informance store. For more information and to download the app, visit readaheadapp.com. 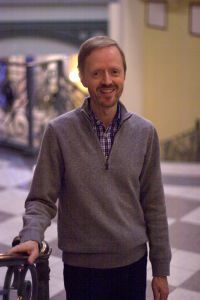 Ken Johansen has been on the faculty of the Peabody Conservatory of Music at Johns Hopkins University since 2002. He teaches keyboard skills including sight-reading, keyboard harmony, and score reading to piano majors. Johansen holds degrees from the Johns Hopkins University Peabody Institute and the University of North Texas. Johansen trained extensively in the pedagogical tradition of Nadia Boulanger in Paris, France. 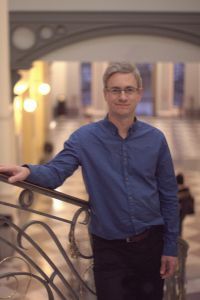 Johansen has given concerts and lectures across the U.S. and France and has written articles for American Music Teacher, Piano Journal, Clavier, and Piano and Keyboard. Travis Hardaway began teaching at the Peabody Conservatory of Music at Johns Hopkins University in 2004. Hardaway holds a Doctor of Musical Arts in composition and music theory from Boston University. His compositions have been performed at national venues including Ozawa Hall at Tanglewood and the Aspen Institute. He has also worked as freelance audio engineer and editor for clients including NBC, Local Color, and Sound Mirror. Over the past two years, Hardaway has focused on cognitive science research on deconstructing musical learning processes. Click here to download companion mobile app for Apple iOS or here for Android.